Video lessons to go one step further! 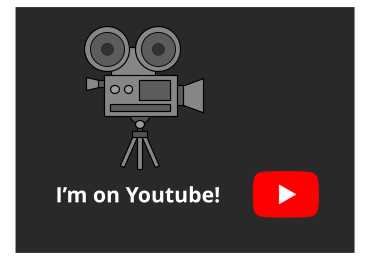 More new videos will be added in the future. Some older drawing lessons from this site will also be updated through the addition of new video tutorials. Armed with both a written version and new video content, drawing all the animals, characters, places, food, vehicles and objects that you love will be easier than ever. a cool astronaut floating in space! 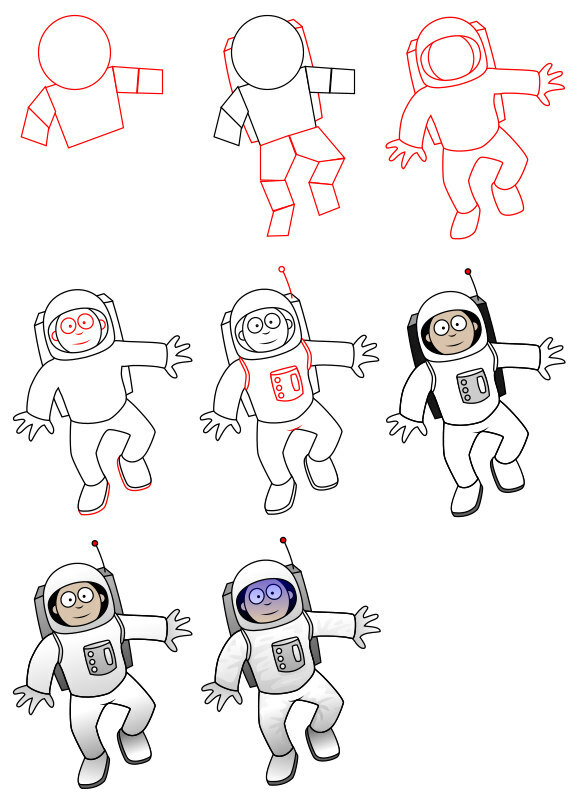 First, you can learn how to draw cool cartoon characters like the astronaut found below. Working on a particular posture, this fun illustration represents a small challenge for beginners and young artists. Details are simple and the video version is filled with plain colors, regular strokes and outlines as well as basic colors. 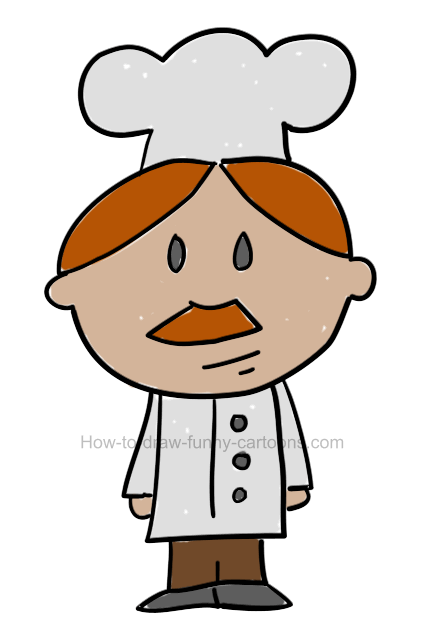 Study the step-by-step process carefully and duplicating this character should be relatively easy. The written lesson is slightly more complex. Color gradients are added to the final character and a few simple digital effects (like shadows and reflections) are also drawn inside the suit, the helmet and the face of the astronaut. You can find more characters like this one in the "Easy" section of the site. a cute dolphin for animal lovers! Another simple, yet very interesting animal to illustrate is the cartoon dolphin found below. The shape of the character as well as the posture of this one are pretty fun to play with. 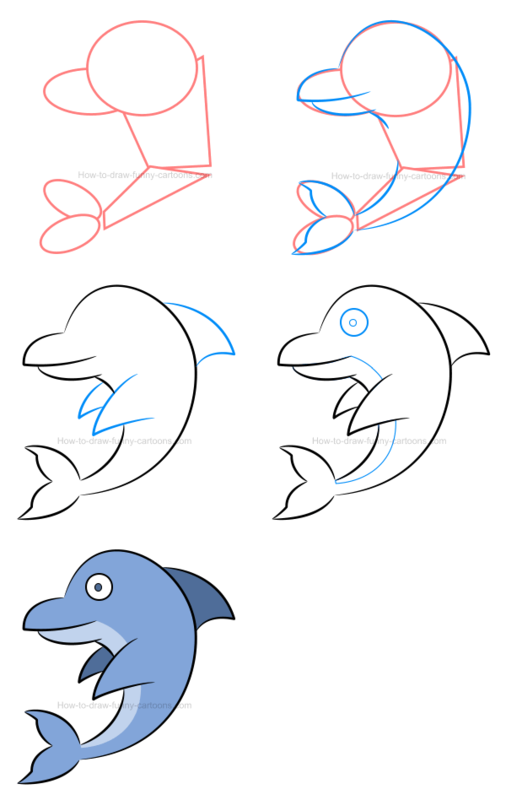 To achieve this tutorial properly, you need to be able to draw perfect long curved lines to end up with a realistic mouth, a round body and cute short fins. Adding nice colors is a simple exercise too! 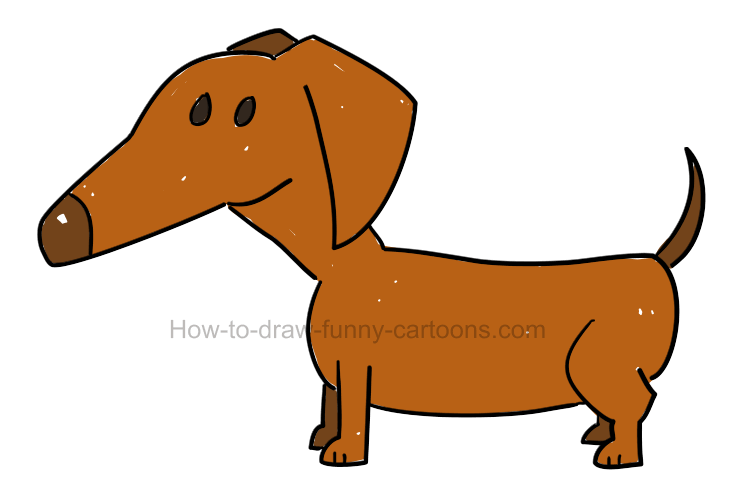 More details can be found in the illustration below to help you draw the animal quickly and easily. For example, you can work with basic shapes that are added prior to the creation of this cute dolphin. The written tutorial also play with various colors so that you can choose the perfect palette needed to end up with an adorable version of this animal. This original series is pretty interesting because you can test various postures, colors, facial expressions and fun digital effects on a wide variety of cartoon animals. 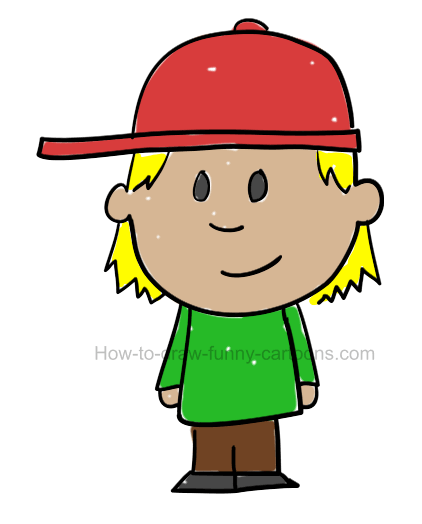 Unlike most tutorials from this site, you are not limited to one option for each character. Once you understand the concept of this collection, being creative becomes a second nature! vehicles are fun to illustrate too! 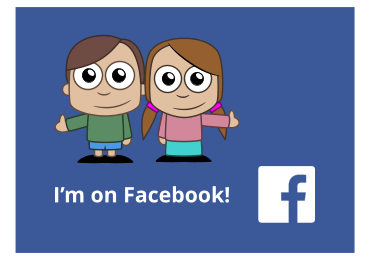 This simple cartoon bus is also fun to play with. The most challenging aspect of this tutorial is the fact that the vehicle is shown from a simple two points perspective. 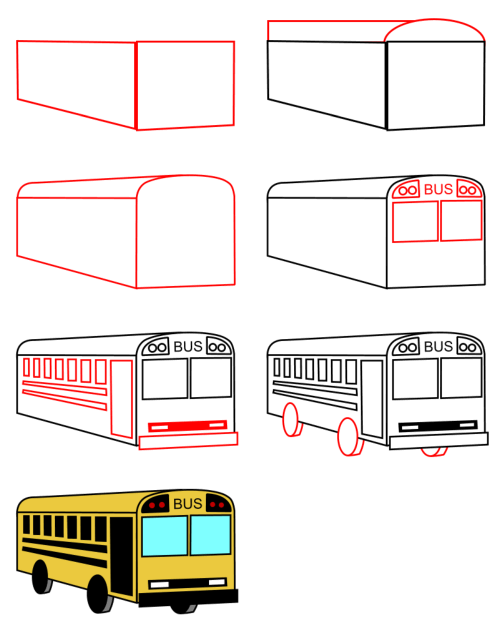 You also need to handle a ruler properly to create a realistic bus like this one. Don't forget to add plenty of yellow color inside the subject and make sure all details are drawn accurately. Still having trouble drawing this vehicle even after using the video above or the illustration below? Why not print the image and use it as a reference? Don't forget that more vehicles like cars, helicopters, trains, motorcycle, boats or skateboards are also available in this series. a mythic structure to draw with passion! Some places are also fun to illustrate using a basic video tutorial. 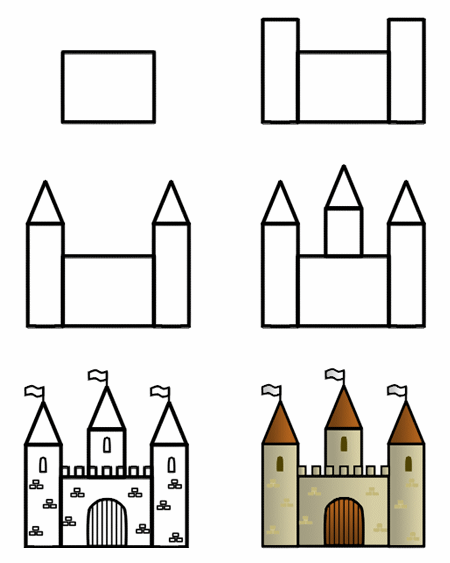 This cute cartoon castle is a great example! Using mostly small squares, triangles and rectangles, you can easily end up with a simple structure that feels genuine and visually appealing. Adding a few extra bricks on all walls is more than enough to create something easily recognizable. A few lines and you got a juicy watermelon! 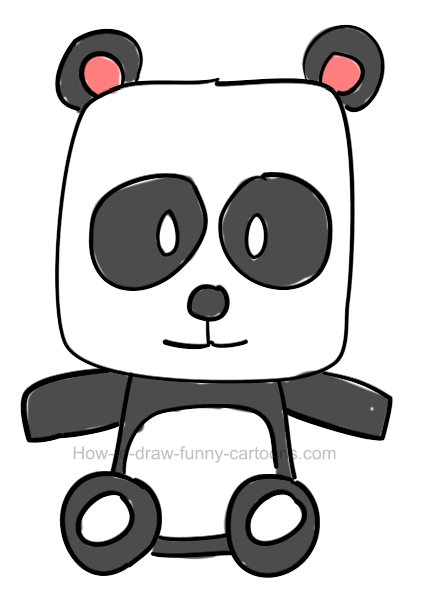 It's funny how a simple illustration made from a few basic lines and filled with plain colors can look so delicious. 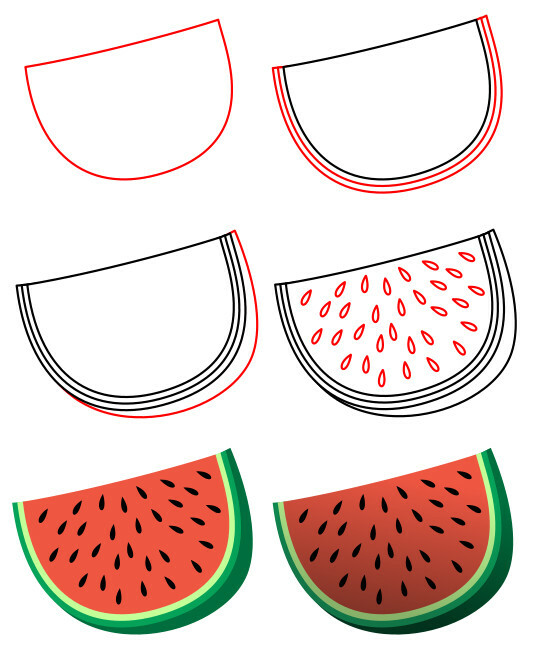 It's definitely the case for this tutorial on how to draw a juicy watermelon. You will spend more time drawing seeds and adding colors than drawing the shape of this amazing fruit itself! 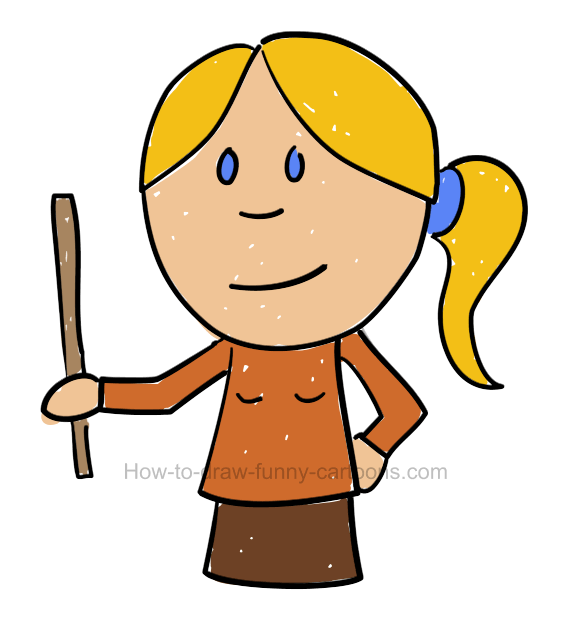 The posture of the subject is also an interesting aspect of this simple cartoon lesson. 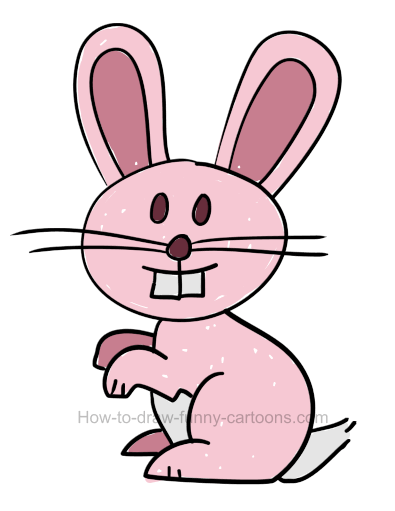 These are the starting point for your online journey on how-to-draw-funny-cartoons.com. 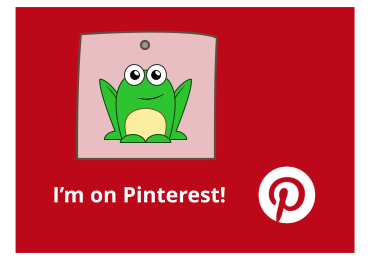 If you don't know where to start, then you can try a few animals and characters from the character clipart series, the cute animals collection or the miscellaneous tutorials filled with various themes, techniques and subjects. 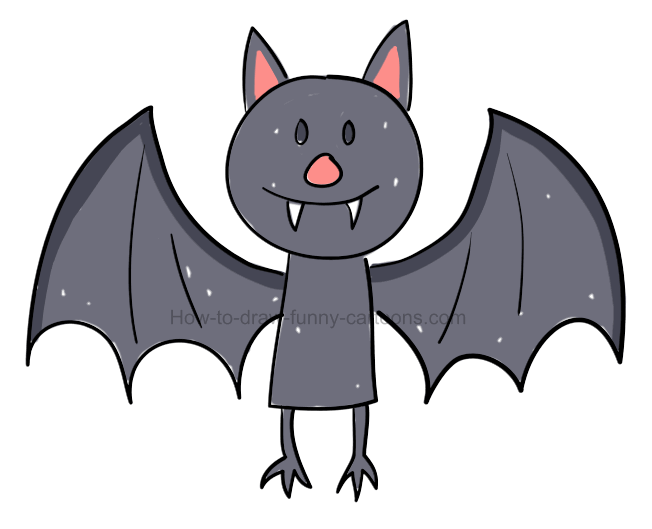 More advanced users will be glad to work with cartoon sports related lessons, complex clipart images featuring misc themes or realistic animals and insects filled with textures, shadows, highlights and reflections.